Christchurch born and based, Michael is an active Jazz Bass student enrolled in the Ara Institute Music Arts Program. While specialising in Jazz, Michael's work and interest spans the performing arts spectrum as a Sound, Lighting and Video technician, DJ, Orchestrator and bookings manager. 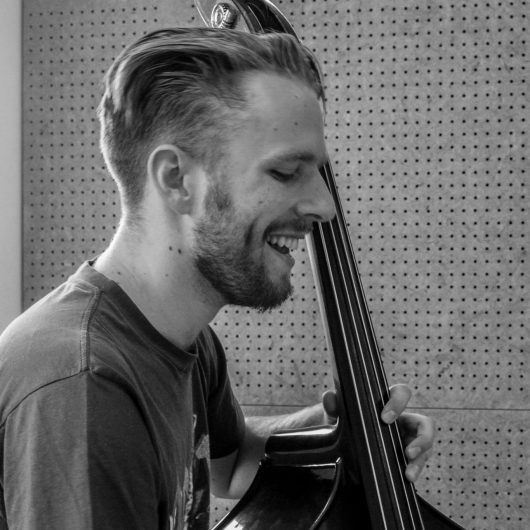 As a Bass Player – while studying jazz, I pursue to play across styles, taking calls from musicians across the scene, and engaging in all things Christchurch music. Musical involvement extends beyond my role as a Bass Player however – having recently completed my role as Musical Director for the Christchurch Gangshow – having orchestrated and led a cast of 35 performers and 8 band members through the biennial revue theatre performance. As a technician, I’ve had the privilege to involve myself in varying capacities across the city – sound and/or light operating for numerous music venues across the city from theatre through club. Stagehand experience has seen me working on events including Cirque Du Soleil, Bay Dreams, Christmas in the Park and the New Zealand Opera. I also carry this experience into the recording studio, with a passion for recording and mixing projects, including those linked below. Furthermore, my networking within the Christchurch scene has allowed me to offer services booking bands for venues and events.